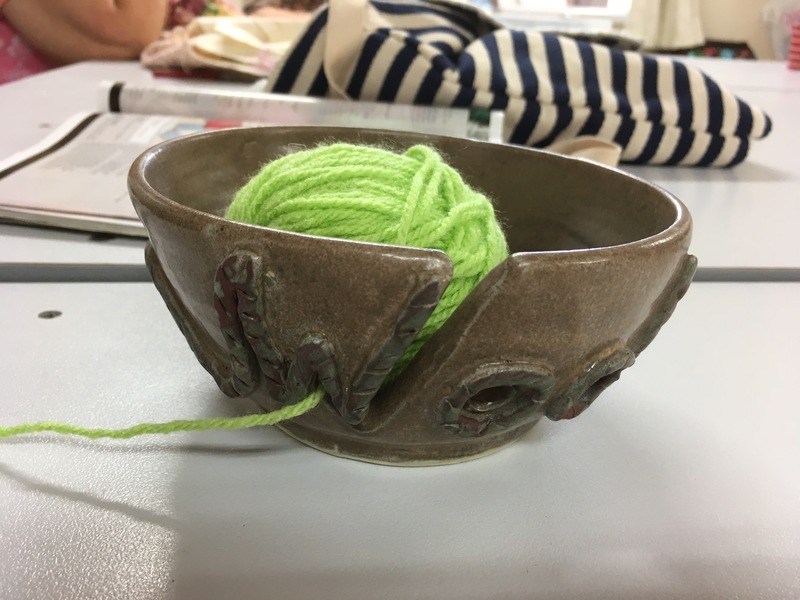 Lyn Hilton from our neighbours, The Potter’s Society, has made some lovely pottery wool bowls for all our knitters and crocheters. It stops your ball from rolling all over the place. Won’t stop your cat from attacking it though. 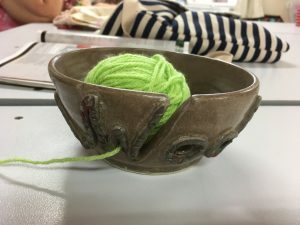 We love Lyn’s beautiful bowls. I was in Christchurch, New Zealand recently and in the art gallery they had a large, bright yellow crocheted piece hanging on the wall. There were bench seats and a low table nearby with a lovely view of the hanging. 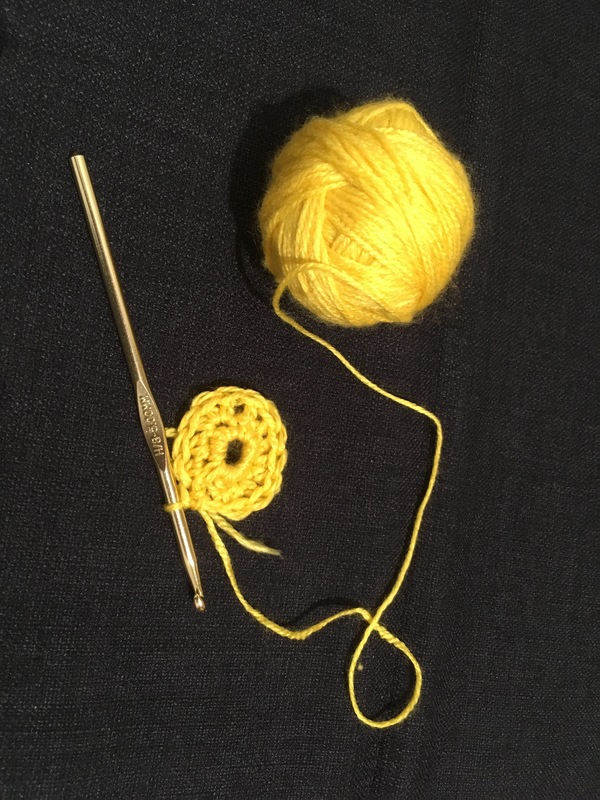 Yellow wool and crochet hooks aplenty were available for anyone with the ability and desire to make a piece to be added on. What a brilliant idea. Here’s my little offering. Naomi.